ALL IN THE FAMILY. Members of the Green family who will operate businesses out of a new building on Sandstone Road include Sarah Green of Sakura Skin Spa (at far left in stripes); Jesse and Courtney Green of Wheelhouse (immediately to the right of Sarah Green); and Rachel and Aaron Arfstrom of Apex Chiropractic (at far right). Some families would cringe at the thought of working together or sharing business space. For one local family, however, it’s a joyful arrangement. Three siblings in the Green family have their own businesses and they will soon be operating under the same roof. Sarah Green, owner of Sakura Skin Spa, came up with the idea for her siblings to co-own a building in which all of their businesses would be tenants. Her sister, Rachyl Arfstrom, and brother-in-law, Aaron Arfstrom, own Apex Chiropractic. Sarah’s brother, Jesse Green, and sister-in-law, Courtney Green, own The Wheelhouse, a new spin studio opening this fall. All three businesses will be located at 6045 Sandstone Road in Eau Claire, just off Highway 93. Before Sarah opened Sakura Skin Spa in 2013, she pondered the idea of having her own building for it. After talking with her parents, Patti and Dan Green, she decided to hold off until the business was sailing smoothly. In 2015, she again began thinking about having her own location. With the spa established, she asked her sister, Rachel, and her brother-in-law, Aaron, if they’d like to accompany her in this endeavor. As the owners of a chiropractic business, Sarah said “it just made sense” to share a building with each other. Sarah’s sister-in-law, Courtney, and brother, Jesse, joined the bunch last summer when Sarah suggested Courtney open a spin studio. 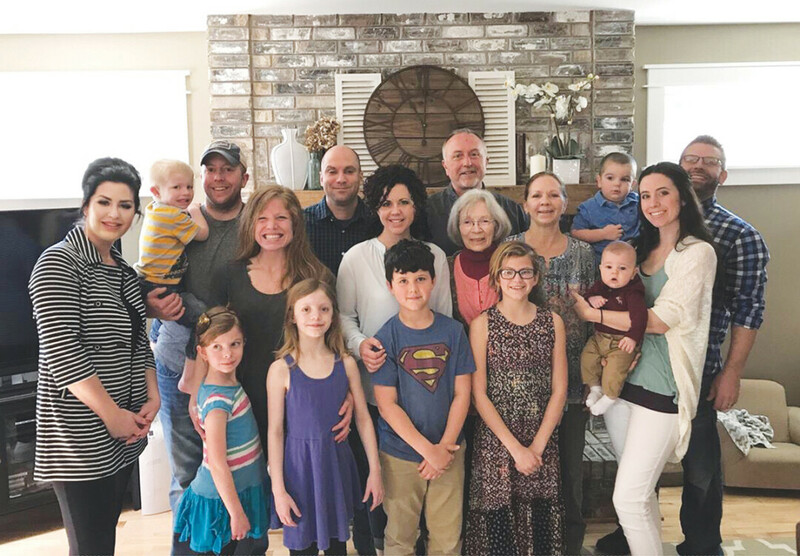 With that, the three couples – Patti and Dan, Rachel and Aaron, and Courtney and Jesse – sought ownership of the location on Sandstone Road. This move has provided Sakura Skin Spa with opportunities for growth, Sarah said. She will add medical treatments and massage therapy to the list of services and plans to expand the injection and aesthetic team. Sarah’s mother, Patti, said the family has a lot of experience with owning businesses. Her husband, Dan, opened Water Source Heating & Cooling in 1983, and she owned a scrapbooking store with her sister for years. “We’ve had experience with making a business work even when it means family is together a lot,” Patti said. Because each of the businesses have something to do with health and wellness, Patti said the business owners are looking forward to working together for events and promoting each other’s businesses. Sarah agreed. The similarities in the family’s businesses make for great opportunities for their clients, Sarah said. “We joke that clients can go see Courtney and work up a sweat, go see Aaron and have him put you back together, and then come relax with us at Sakura,” she said. Sakura Skin Spa is now open for business in the new location on 6045 Sandstone Road. Summer hours are noon-6pm on Tuesday and Thursday, and 10am-3pm on Wednesday, Friday, and Saturday. Sakura is closed Monday-Sunday. Learn more at sakuraskinspa.com. The Wheelhouse and Apex Chiropractic will be joining the spa in September.